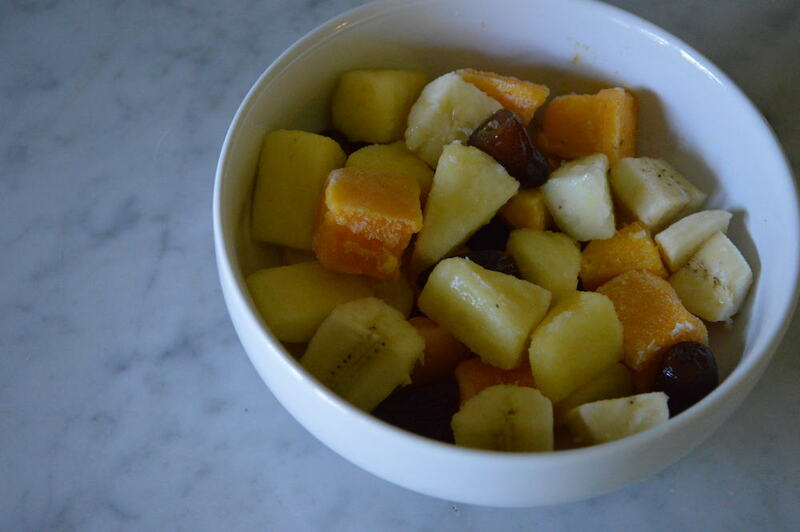 This dreamy combination of banana, mango & pineapple blend together for a seriously delicious, creamy tropical treat + dates give it that extra Oomph! 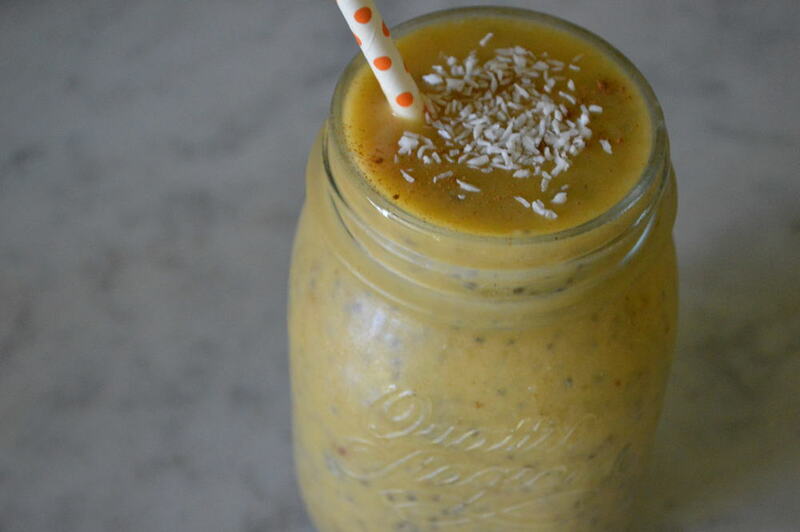 I threw this smoothie together earlier in the week & couldn’t wait to make it again and share with you all. This is a perfect, healthy alternative for satisfying that sweet tooth for ice cream or fro-yo now that warmer days are upon us. 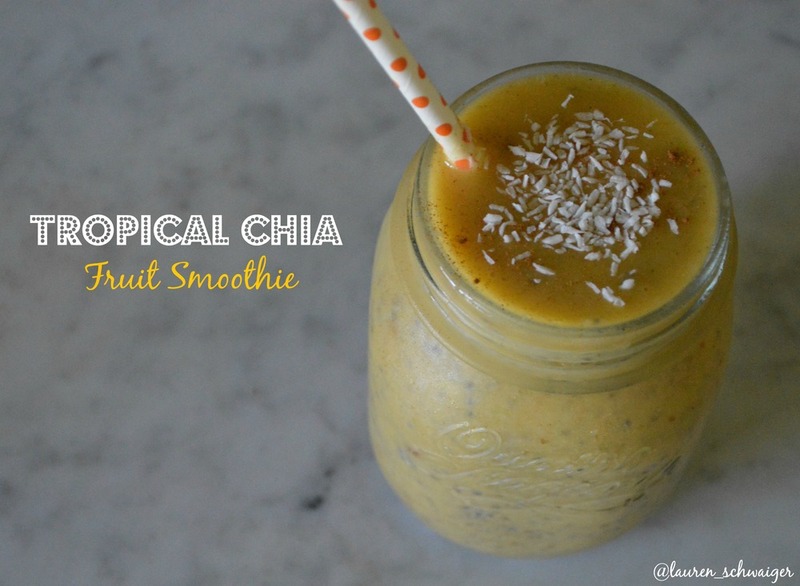 You can totally make this with/without the chia seeds – I prefer chia to add in a bit of protein + omega-3 goodness. 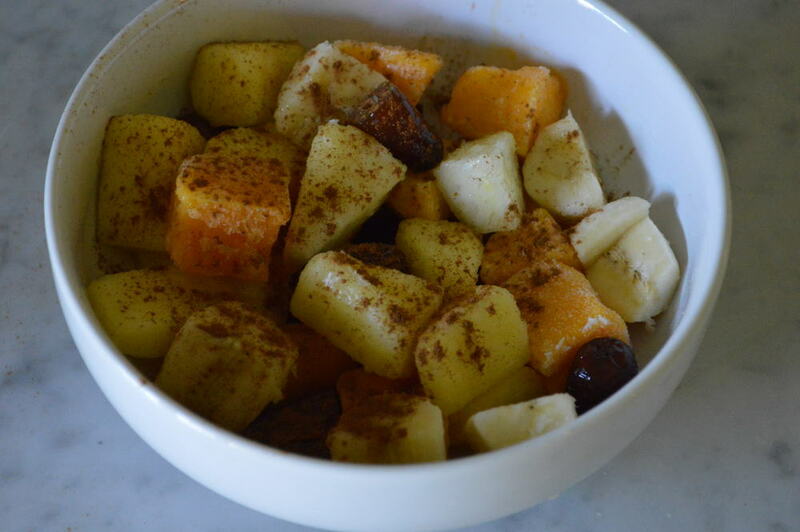 Topped off with shredded coconut & an extra dash of cinnamon – YUM. I presoaked my chia seeds in almond milk for a good 1.5 hours before making the smoothie. 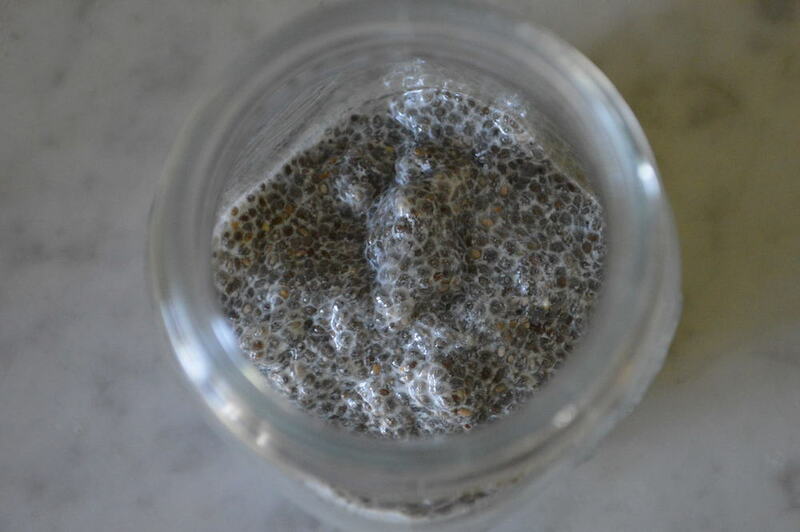 I poured just enough almond milk to cover the chia seeds. that is actually a brilliant idea not adding the chia seeds to the blender! I thought so, too! lol they stick to the bottom & sides like crazy. The thought of wasting all those chia seeds was killing me.